The Band of Paiutes of Las Vegas, Nevada gather each year to join in cultural song, dance and community as they honor the deceased. 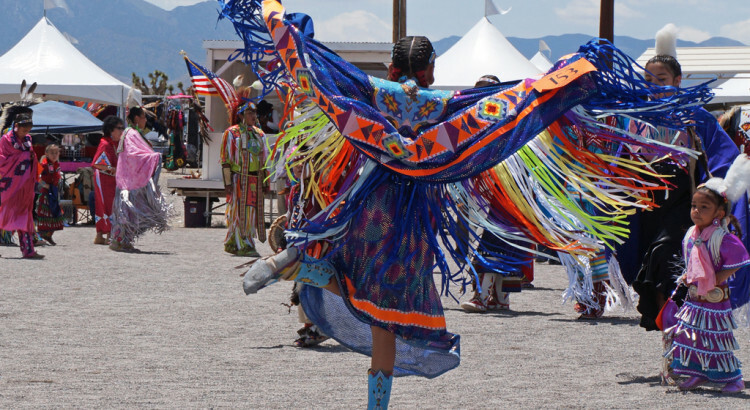 This pow wow is how they celebrate and honor their rich heritage and much pride is displayed in their elaborate garb. Each dancer’s attire is unique to their style of dance, while the rhythmic drums are sacred; the beat, known as ‘the heartbeat of Mother Earth,’ has a great purpose to bring everyone back into balance.